When you first meet Silas, or “Si Diggity,” as his family calls him, you can’t help but love him. His warm smile and sweet demeanor fills the room. He was born on September 10, 2016. His birth, however, was not free of complications. Because of this, Silas suffered some brain trauma, due to lack of oxygen he endured. 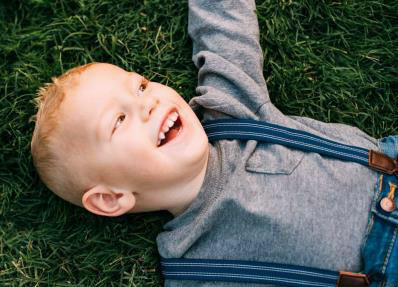 As a result of his birthing complications, Silas has a condition called Spastic Quadriplegia Cerebral Palsy. Spastic quad CP is a form of cerebral palsy that results in the loss of use of the entire body, and is the most severe form of the condition. Another common issue with his condition is difficulty with swallowing. This can lead to respiratory problems if food is aspirated. Because of this, Silas must eat while being watched closely to prevent him from choking. In order to help with the many challenges Silas faces, he receives several different therapies. Speech, physical, and occupational therapies are all part of his normal routine. Thankfully, he has made much progress in these therapies. He is cognitively very aware and intelligent, which is helping him to progress in these therapies. Doctors are considering the use of eye-gazing equipment as part of his therapy plan. Silas is a sweet, loving, and social little two-year-old. He brings joy everywhere he goes with his bright smile. He is a very smart little boy, and is already proving that nothing in this life is going to hold him down. Silas will be adopted as a Sparrow to Hanby Middle High School. Students at Hanby will work hard to raise money for Silas through sponsored community service and fundraising projects.